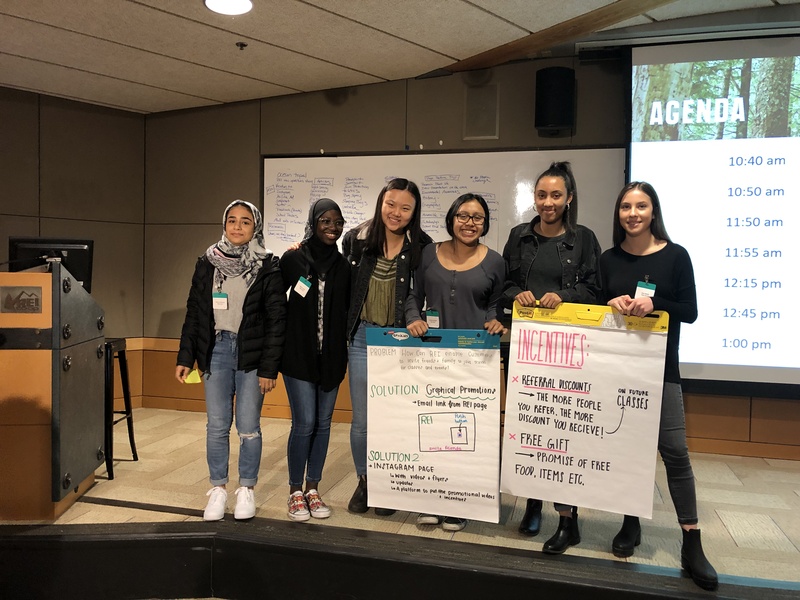 On March 26, 2019, 40 girls from Ingraham HS, Nathan Hale HS, and Fife HS went on an IGNITE field trip to visit REI's Corporate Headquarters in Kent, WA! 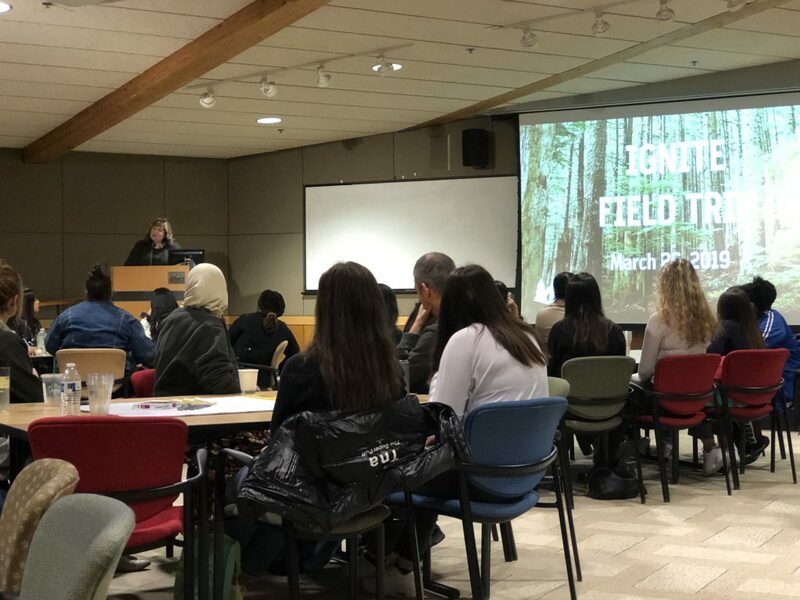 For some girls, this was the first IGNITE field trip they had attended. The day began with an amazing tour of REI's campus. 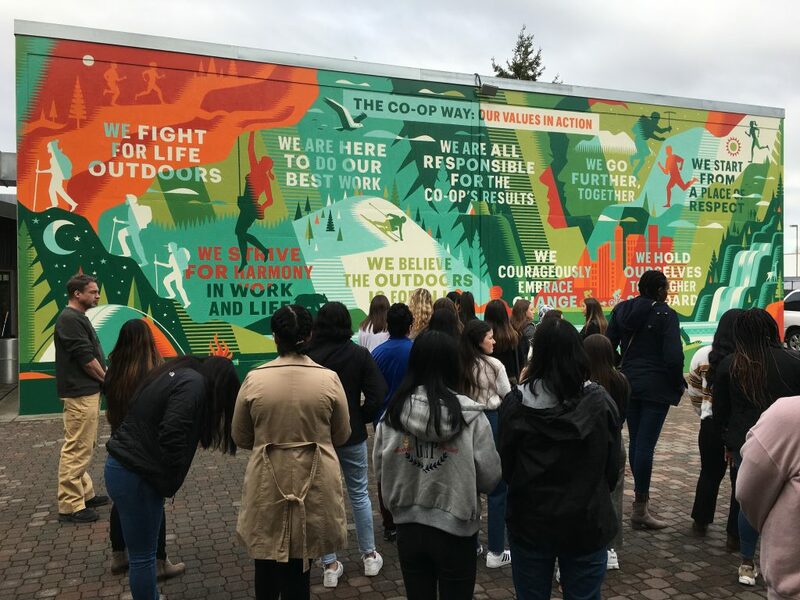 The highlight was seeing the new REI mural, that lists goals and philosophies in a colorful and artistic way, encouraging everyone to get outside and play! The girls really appreciated this vibrant mural, and were inspired to be creative. 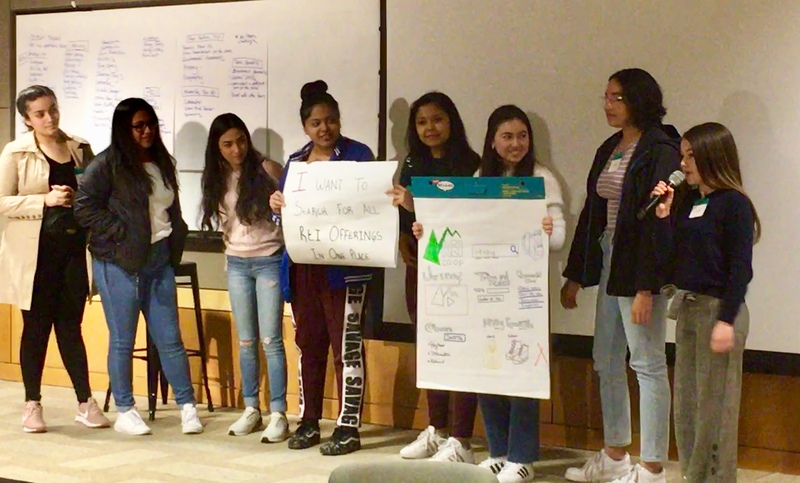 After the tour, students worked in groups to brainstorm and problem solve an “Opportunity Statement". The day was filled with smiles and creative problem solving as students worked to find solutions for challenges presented. 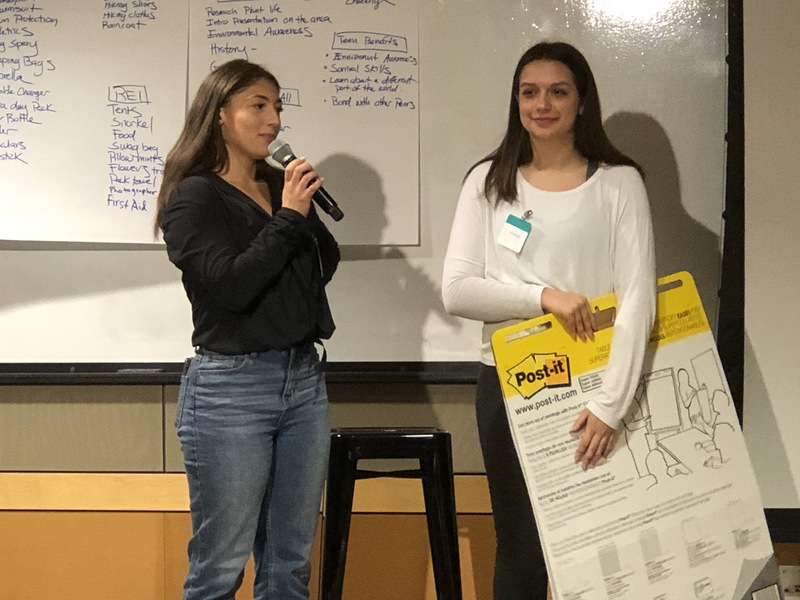 After collaborating with other students and REI employees at their tables, students presented in front of the large group, using visual aids they created. REI staff were so welcoming to the students and worked collaboratively leading the students in the critical thinking project. We were treated to a wonderful, kid-friendly buffet lunch! 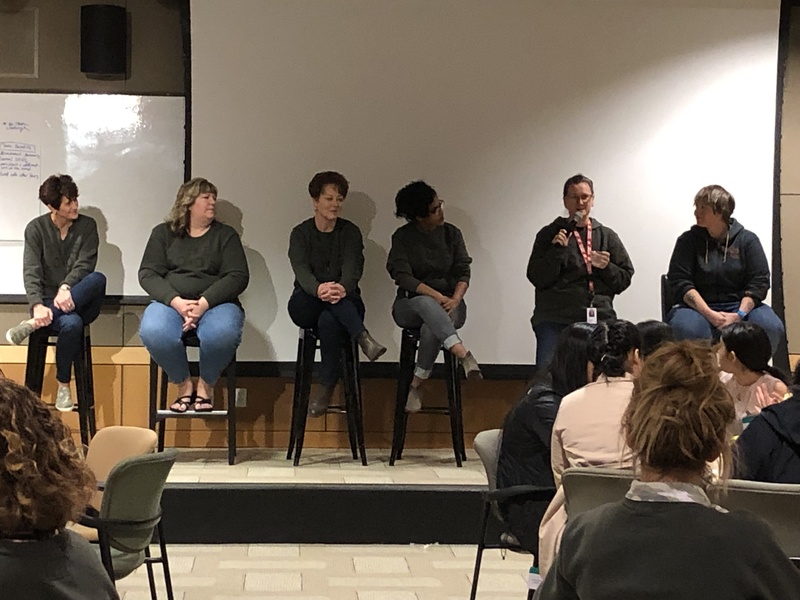 Students then got to listen to a Panel of professionals in the fields of IT and STEM. Students asked the Panel speakers questions about their career journey and current job duties. This was a high-quality event, well-organized with a friendly, welcoming staff. 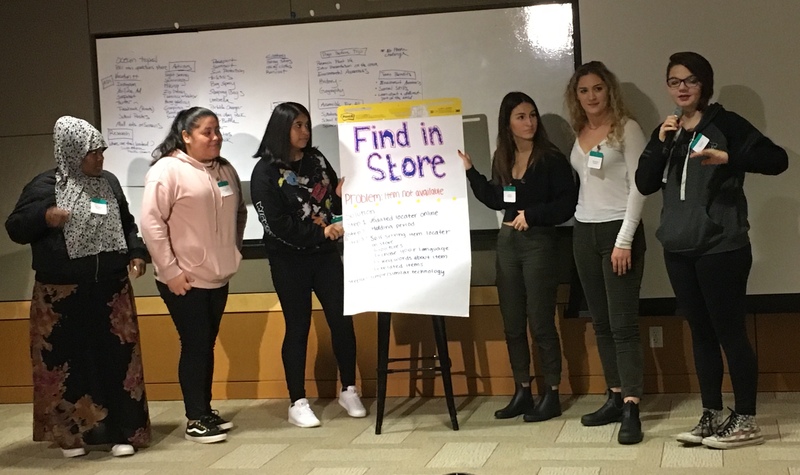 Especially for my bilingual students, REI employees inspired them to be open to new opportunities and empowered them to own their skills and abilities. Thank you to the amazing staff who organized this event at REI! "The fact that there were women who were the head of departments! They are the bosses. Also REI's values and their commitment to the outdoors (force of nature campaign and the #optoutside campaigns)." "What I enjoyed about today's field trip is the presentation groups. Seeing people working in the groups really inspired me because we all worked together to solve a problem." "I loved working in the small groups with three amazing REI employees." 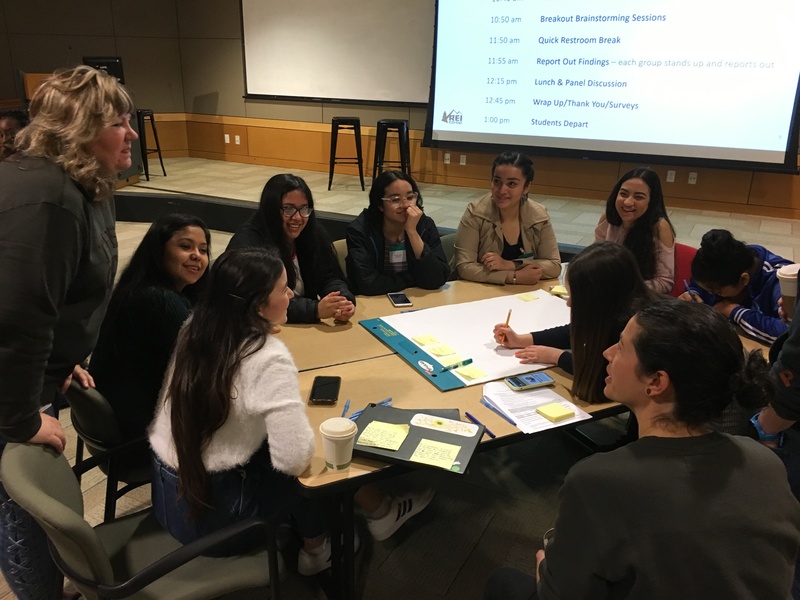 "The Panel and asking questions inspired me, the way they got into that field and how they answered the questions." "Problem solving issues that wouldn't normally be tech-related, with tech-solutions that would actually be useful." "I enjoyed seeing the headquarters and working with new people." "I liked being able to do a real-life problem solve and hear from REI employees." "I really enjoyed the group project, I was inspired by all of the creativity." 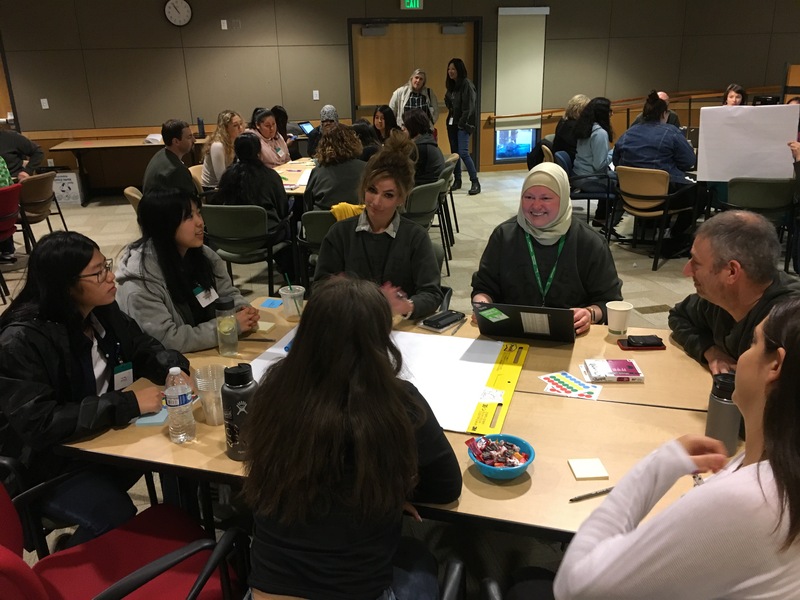 "Teamwork setting, and hearing women in STEM talking about their accomplishments!" 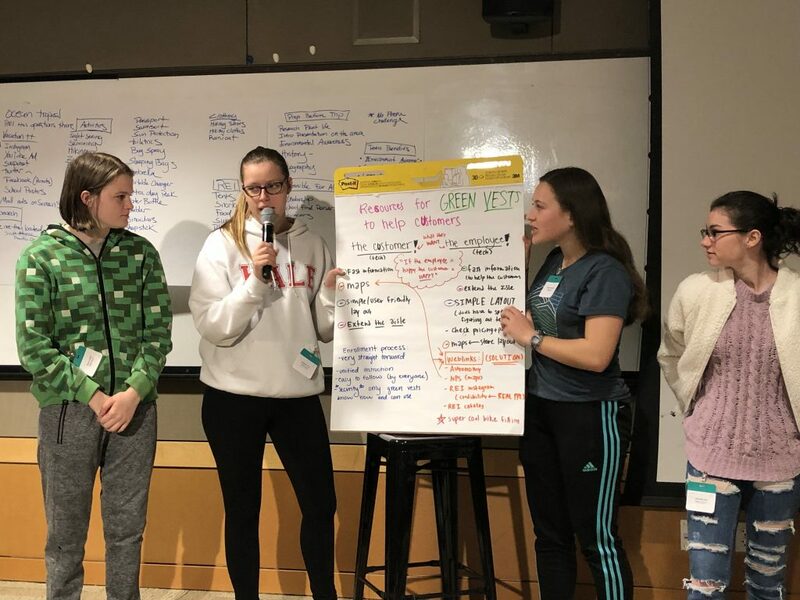 "Figuring out the problem and solving it, made me inspired to be open!"